The Federal Court in Kuala Lumpur will conduct a full hearing on the application for leave to commence proceedings over National Petroleum Corporation’s (Petronas) claim over ownership right to Sarawak’s oil and gas resources today. The hearing was initially scheduled on June 12 but was postponed to today. The Sarawak government, a defendant will be represented by Sarawak Attorney-General Datuk Talat Mahmood Abdul Rashid, State Legal Counsel Dato Sri JC Fong, Talat’s deputy Saferi Ali and legal officer Mohd Adzrul Azlan. Fong when contacted yesterday evening, confirmed this. The application for leave to commence proceedings against the Sarawak government is by virtue of Article 128(1) (a) of the Federal Constitution. All affidavits and submissions for the hearing have been delivered to the Court in readiness for the hearing. The Sarawak government has said that it will consider all other options to protect and enforce the state’s constitutional rights in this matter. 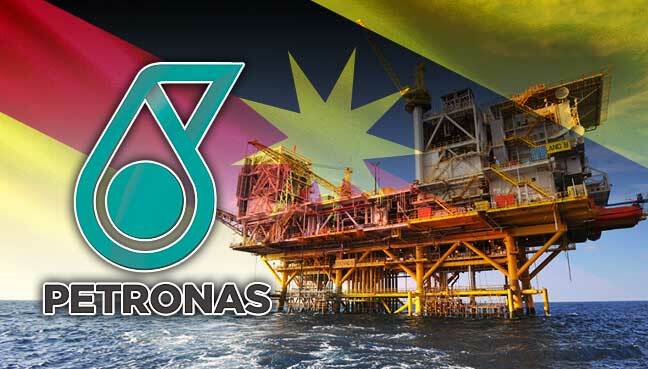 It would not allow Petronas to disrespect and disregard the state’s rights to regulate the upstream activities under Sarawak laws such as the Oil Mining Ordinance and the Land Code. Petronas would argue that its ownership over Sarawak oil and gas resources all this while is by virtue of the Petroleum Development Act 1974. Deputy Chief Minister Tan Sri Datuk Amar Dr James Masing’s suggestion to use up Sarawak’s reserves of RM31 billion before the next state election to prevent the incoming government – should there be a change of power – from ‘looking good’ in the eyes of Sarawakians reflects his mentality. PKR Sarawak chairman Baru Bian says the suggestion only goes to show that Masing is “a politician first and the DCM second” when it should be the other way around. “For him, it is obviously not about the people anymore, but about his political relevance and survival. This is perhaps the reason he comes up with the most ‘ingenious’ suggestions for Gabungan Parti Sarawak (GPS),” he said in press statement yesterday. United People’s Party (UPP) secretary general George Lo today condemned the suggestion by Parti Rakyat Sarawak (PRS) president Tan Sri James Masing that the state government use all its reserves before the state election in 2021. He said the state’s financial rating in the international community will be damaged if such a suggestion were entertained. “With all due respect to Masing, that suggestion is ridiculous and is unworthy of any state official, much less a deputy chief minister, to come up with,” Lo said in a statement today. SARAWAK PKR chief Baru Bian today said he is shocked by Deputy Chief Minister James Masing’s statement on the use of state reserves. “I was shocked to read the front-page news today, that Masing proposed to use up our reserves of RM31 billion before the next state elections, so that the incoming government will not have the chance to ‘look good’ in the eyes of Sarawakians when they use the money,” he said in a statement. “This statement reflects his mentality – he is a politician first, and a deputy chief minister second – when it should be the other way around. Ampang MP Zuraida Kamaruddin, who was previously barred from entering Sarawak, will be making her first official visit here as Housing and Local Government Minister. According to her tentative itinerary, the PKR Women chief is scheduled to depart from Kuala Lumpur International Airport at 11am on June 20. On the following day, she is scheduled to pay a courtesy call on Local Government and Housing Minister Datuk Dr Sim Kui Hian before proceeding with a courtesy call on Chief Minister Datuk Patinggi Abang Johari Tun Openg. Barisan Nasional is as good as dead but Umno should continue its political fight alone, supreme council member Datuk Seri Nazri Aziz has said. “BN is gone, we cannot carry on with BN now. The three main component parties, MCA, MIC, and Gerakan are all finished. “So how to continue as BN?” Nazri told Malay Mail when contacted. BN saw its worst ever performance during GE14, when it lost control of the federal government for the first time in 61 years. Deputy Chief Minister Tan Sri James Masing today denied suggesting that the state government use up all the state’s reserves amounting to RM31 billion over the next three years. “I didn’t suggest that we use all the reserves. I said some of the reserves. We are not that stupid to finish all our reserves which we have built over the years through prudent financial management,” he said when contacted by Malay Mail. Masing, who is also Parti Rakyat Sarawak (PRS) president, said he had suggested that some of the reserves be used to provide water and electricity supplies and build roads in the rural areas. Parti Rakyat Sarawak (PRS) should replace president Tan Sri Dr James Masing if he lacks faith in the party and its allies’ ability to win the next state election, said a Parti Pesaka Bumiputra Bersatu (PBB) vice president. Masing previously said the nascent Gabungan Parti Sarawak (GPS), formed by four Barisan Nasional breakaways, may lose to Pakatan Harapan (PH) in the Sarawak poll which is due by 2021. “We cannot go to war half-heartedly. Surely he doesn’t have the Agi Idup Agi Ngelaban spirit, a famous Iban war cry to continue the fight as long as one is still alive, anymore,” Datuk Karim Rahman Hamzah said today. It looks like a four-cornered fight is shaping up in Puncak Borneo, making it an interesting seat to watch in this election. Parti Keadilan Rakyat (PKR), Parti Bansa Dayak Sarawak Baru (PBDS Baru) and State Reform Party (STAR) have already announced their candidate to challenge the new face fielded by Barisan Nasional, 53-year-old Jeannoth Sinel. Jeannoth, who is Parti Pesaka Bumiputera Bersatu (PBB) Tarat information chief, was announced as BN candidate on Tuesday to replace incumbent Datuk Seri Dr James Dawos who is stepping down due to health reasons. Pakatan Harapan’s candidate for Selangau Baru Bian believes that Selangau voters will rise above racial or communal politics this time around in the upcoming parliamentary election. In a statement, he said more importantly, Selangau voters should take this opportunity to prove Parti Rakyat Sarawak (PRS) president Tan Sri Datuk Amar Dr James Jemut Masing wrong that an Orang Ulu could not succeed in an Iban majority seat. “Whether I will be accepted or not in Selangau is for the voters to decide and not James Masing,” he said. There is also the uncertain factor of incumbent MP Datuk Joseph Entulu Belaun who was sacked by his party Parti Rakyat Sarawak (PRS) last Sunday and replaced by Barisan Nasional (BN) with corporate legal advisor Rita Sarimah Insol, 57, to defend the the seat. Rita will be the first woman candidate fielded by PRS in state or parliamentary elections. Sarawak DAP chairman Chong Chieng Jen announced today that he will contest in Stampin during the 14th general election (GE14), instead of defending his safe seat of Bandar Kuching. His assistant Dr Kelvin Yii, who was last month revealed as the party’s candidate for Stampin, will instead contest in Bandar Kuching. “It will be a challenge for me to stand in Stampin facing whoever the Sarawak United People’s Party (SUPP) will nominate to stand there,” Chong said when announcing the party’s candidates at a political rally in Batu Kawah, here, tonight. Opposition party PKR’s failure to resolve and finalise its list of candidates for the 14th general election (GE14) is “unforgivable”, activist Datuk Ambiga Sreenevasan said today. Ambiga, a prominent lawyer who is also a former Malaysian Bar president, had taken to Twitter to criticise PKR’s actions. “When the rakyat are doing everything in their power to overcome obstacles to ensure they can vote and to help in the elections, this nonsense in PKR is unforgivable!” she said in a tweet today. I filed a complaint to the Kuala Lumpur City Hall (DBKL) as early as April 9 on the setting up of political flags in Taman Tun Dr Ismail (TTDI) before nomination day on April 28, an offence under Section 24B(4) of the Election Offences Act 1954 that states campaign materials can only be displayed during the official campaign period. Unapproved political flags put up before nomination day of the 14th general election are essentially illegal advertisements, no different than illegal banners and advertisements offering various services. They are an offence under the Advertisement By-laws (Federal Territory) 1982 and the Vandalism By-laws (Federal Territory Kuala Lumpur) 1991. After repeated reminders of my complaint to DBKL, which I had emailed and filed in person at their office, and a police report that I lodged, DBKL finally responded to me today (April 20) and told me that the Mayor’s Office has given instructions to remove political flags in TTDI. Prior to DBKL’s action today, it was no surprise that some desperate citizens decided to take matters into their own hands and performed a public service by removing the political flags themselves, which are essentially trash. However, when my TTDI neighbours ― three young women ― allegedly took down 133 BN flagsin the neighbourhood and handed the materials to the police, rather than litter the place, they were arrested for “committing mischief”, an offence under Section 427 of the Penal Code that is punishable with maximum five years’ jail, or a fine, or both. Worse still, they were remanded overnight for such a minor offence. It is absurd to accuse the TTDI residents of committing a vague offence like “committing mischief”, especially when political players are allowed to put up illegal advertisements with impunity. KL police chief Datuk Seri Mazlan Lazim urged the public to file reports with local authorities instead of taking matters into their own hands. But what can citizens do if the authorities refuse to uphold rules and regulations? DBKL refuses to take action on illegal political flags and banners despite numerous complaints from KL residents. Even though I subsequently lodged a police report, police told me that the matter fell under DBKL’s jurisdiction. However, DBKL finally took action today, which shows that constant pressure on the authorities via formal complaints and police reports works. The civil disobedience acts undertaken by my TTDI neighbours probably also helped pushed them to respond. While some dubbed the TTDI residents’ actions as vigilantism, I believe civil disobedience is sometimes necessary. 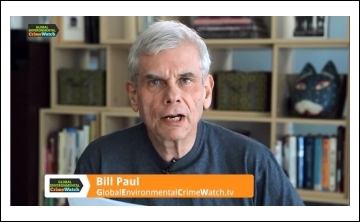 If institutions like DBKL fail to uphold the law on something as simple as illegal political advertisements, then citizens have no choice but to do what they think is necessary to protect their homes and public spaces. While this may seem minor to some, who say all that matters is casting your vote, the TTDI case exemplifies what happens when rule of law breaks down. Public authorities and institutions must uphold rules and regulations at all times, rather than pick and choose what they like because of political bias. If public institutions themselves cannot follow the law, why should ordinary citizens do so? And if local authorities ignore the rules on a minor case of illegal political advertisements, how can they be trusted to safeguard public interest in much larger issues like corruption? The key issue is DBKL’s lack of independence, which neither BN nor Pakatan Harapan (PH) addressed in their election manifestos. It is not surprising if DBKL staff are reluctant to remove illegal political flags because they are afraid of losing their jobs since the country’s largest local council seems to be “under” the Federal Territories ministry. The ubiquitous smartphone and ease of spreading photographs and videos on social media have also deterred DBKL staff, who are afraid of accusations of political bias, from performing their duty. DBKL and local councils must have the independence to set their own budgets, manage their staff, and carry out programmes to improve town and city planning. Restoring local council elections will enable local authorities to be directly accountable to the people, rather than to their political masters in the state or federal government. Since residents pay taxes to local councils, it is all the more crucial for them to elect their own mayor and local councillors so that their tax monies are spent according to their wishes. Parti Keadilan Rakyat (PKR) is cautiously optimistic of retaining Miri and winning Baram parliamentary seats in the coming 14th General Election (GE14) to be held on May 9, this year. State PKR vice chairman See Chee How, said the party is banking on the winds of change sweeping the country in gravitating voters to Pakatan Harapan (PH) which has inked its pledge of returning state rights, abolition of Goods and Services Tax (GST) and other issues in its election manifesto. “It’s 50:50 chance of winning in Miri and Baram but achievable (target),” See, who is Batu Lintang assemblyman, said when met in Miri today. Sarawak’s very own integrated supply base to cater for the needs of the oil and gas industry offshore East Malaysia will be established at the Second Inner Harbour of Bintulu Port and is expected to start commercial operations by the fourth quarter of 2019.
yesterday witnessed the signing of the land lease agreement between Bintulu Port Authority (BPA) and Bintulu Supply Base Sdn Bhd (BSB) for the development of the supply base at a leading hotel here yesterday. BPA was represented by its chairman Hadzari Abang and general manager Zulkurnain Ayub while BSB by its chairman Ahmadi Yusoff and director Datuk Ahmad Redza Abdullah. Often seen as being at loggerheads with each other, DAP Sri Aman branch and PKR Sri Aman branch have decided to call for a truce and unite forces for this 14th General Election (GE14). In a meeting held yesterday evening, DAP Sri Aman branch leaders led by chairman Leon Jimat Donald openly endorsed the candidacy of Norina Umoi from PKR as the Pakatan Harapan candidate in Sri Aman. At the meeting, it was resolved that a Pakatan Harapan P202 Sri Aman Election Committee be formed, where the members of both DAP Sri Aman and PKR Sri Aman will be together to formulate strategy and campaign coordination. Sarawak DAP chairman Chong Chieng Jen could go for the Stampin federal seat instead of defending Bandar Kuching in the 14th general election (GE14) on May 9. “There is a possibility. Until it is formally announced, any change (of seat) is possible,” he said to reporters today. ”The main consideration is to maximise our chances to win over as many seats in Sarawak as possible as this will involve a change in the federal government, and our goal is to change the government,” he said, when asked about the possible change of seat to Stampin. The Sarawak Special Court on Sexual Crimes Against Children has set a target to dispose of cases within six months after they are registered with the court. Women, Family and Community Development Minister Datuk Seri Rohani Abdul Karim said the factor on urgency was crucial to safeguard the victims’ welfare and interests. She said if the cases were not treated as urgent, it would not only affect the quality of the cases, but also the mental health of the victims. Imagine this. On May 10, 2018, the largest political party governing Malaysia will be a multiracial party. This has never happened before. In GE14, Bersatu will contest 52 peninsula seats, PKR 51, DAP 35, and Amanah 27. While Bersatu will be contesting the largest number, most of their seats are tough seats at Umno strongholds. And while PKR has one seat fewer than Bersatu, most of its seats are highly winnable marginal seats. This means that when the tsunami hits the shore, PKR may be the first and biggest beneficiary. 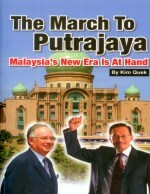 Thus, in all likelihood, PKR will be the largest political party to govern the country. 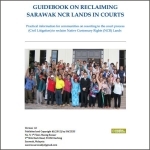 Parti Rakyat Sarawak (PRS) secretary-general Datuk Joseph Salang says issues over Native Customary Rights (NCR) land may again be exploited to the fullest during the campaigning for this 14th general election (GE14). He, however, believes that the rural folk would not be so gullible as to accept the many unfound accusations against the BN-led government. 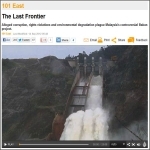 “This is because the amendments made to the State Land Code will be tabled in the State Legislative Assembly sitting in July. 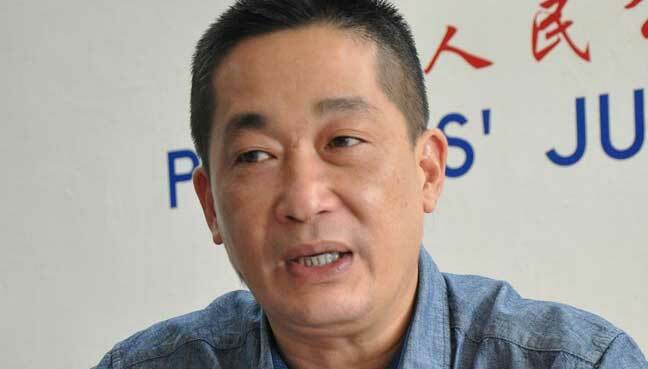 Former Parti Keadilan Rakyat (PKR) Sarawak secretary, Idris Bohari has decided to stand as independent candidate in Saratok parliamentary seat. Idris, 56, told The Borneo Post yesterday he made the decision after thorough consideration and consultation with friends and family. “I am going back to Saratok tomorrow to discuss with my supporters, and will buy the nomination form upon my return to Kuching,” he said. The Employees Provident Fund (EPF) has outsourced RM114.56 billion to external portfolio managers as at Dec 31, 2017. This was an increase of 9.8% from RM104.37 billion in 2016. This allocation, invested in both equity and fixed income instruments, represented 14.5% of the EPF’s total investment assets, it said in a statement here today. The Election Commission (EC) said today it has no objections to Opposition parties wishing to use PKR’s logo in GE14. In a statement, the EC stressed that any candidate who wants to contest under a PKR ticket or use its logo is free to do so provided the party agrees to it. This means that candidates from all four Pakatan Harapan parties, PKR, DAP, Amanah and Parti Pribumi Bersatu Malaysia are free to contest under the PKR banner. The EC was previously reported as saying it must approve the use of PKR’s logo by all of the pact’s candidates, before backtracking on its remarks. PH chairman Tun Dr Mahathir Mohamad had claimed that his pact had tried to consult with the EC on the matter, without success. On April 7, Dr Mahathir and other PH leaders announced that all candidates from the pact’s four parties will contest under the PKR logo on May 9. PKR said today it is prepared to allow its party logo to be used by Pakatan Harapan parties in GE14, following Election Commission’s (EC) clarification earlier. “We have noted EC’s announcement and would like to reiterate our preparedness to allow the usage of the KEADILAN symbol for all PH candidates that would be contesting in GE14. “Our preparedness is based on the concept of esprit de corps and agreement of all component parties in the coalition to bring about change for the sake of Malaysia,” PKR communications director Fahmi Fadzil said in a statement today. Fahmi also urged all voters to immediately check their polling centres and prepare to head home to cast their ballots. He also encouraged voters to assume duties as polling and counting agents for PH candidates to uphold democracy for the country’s future. Earlier today the EC assured that it would not prohibit PH members from using a single logo for GE14. This comes a day after Tun Dr Mahathir Mohamad raised concerns over the matter. Sarawak PKR has expressed its support for the state government’s acquisition of Shell’s 15% equity stake in Malaysia LNG Tiga Sdn Bhd (MLNG Tiga), but wants Chief Minister Abang Johari Openg to reveal the details of the deal. “How much was paid to acquire the 15% equity in MLNG Tiga, and what is the projected revenue generation capacity?” the party’s vice-chairman See Chee How asked. He also asked whether the acquisition was a concession by Petronas to own the Gorek, Larak and Bakong fields at offshore Sarawak, thereby keeping Sarawak out of the SK408 Production Sharing Contract. It has now been confirmed. The Progressive Democratic Party (PDP) will defend all its four seats, including the controversial Saratok seat. Incumbents Tiong King Sing (Bintulu), Anthony Nogeh (Mas Gading) and Anyi Ngau (Baram) will be retained by BN to defend their seats, a senior party insider said. The other seat, Saratok, which was won by William Mawan in the 2013 general election on a Sarawak Progressive Democratic Party (SPDP) ticket, will see a new face. Hanifah Taib’s name was first raised as a potential PBB candidate for the parliamentary seat of Mukah in June last year. Resistance from within PBB to the proposed candidacy of Sarawak Governor Abdul Taib Mahmud’s youngest daughter started soon after and has only heightened ahead of the May 9 polls (GE14). This is because there are too many suitors for the seat, including many qualified locals. Everyone can now read Malaysian courts’ judgments on the Malaysian Judgments Portal for them to have better understanding of the law, Chief Justice Tun Raus Sharif said today. He said in today’s world, law reports had been largely digitalised and accessible only to its subscribers, lawyers and law academics, while non-legal professionals and the general public remain hindered from accessing reported judgments online. “To this end, the Malaysian Judiciary will be among the first in Asean to overcome this problem. The unwritten rule for writers when touching on royalty is to accord our royal households with decorum and respect, irrespective of whether we agree with their views or not. The editors at Malaysiakini are also experienced and responsible souls who know where to draw the line when treating stories about royalty. So let me tread with caution here as I refer to the recent “forked tongue” posting made by Johor Crown Prince Tunku Ismail Sultan Ibrahim on Facebook. Parti Keadilan Rakyat (PKR) Sarawak today hailed and expressed support for the State’s acquisition of Shell’s 15 per cent equity stake in Malaysia LNG Tiga Sdn Bhd (MLNG Tiga) but urged Chief Minister Datuk Patinggi Abang Johari Tun Openg and the Sarawak State Government to reveal the details of this acquisition. “How much was paid to acquire the 15 per cent equity in MLNG Tiga? And what is the projected revenue generation capacity of MLNG Tiga? 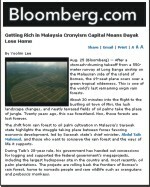 “A question of equal significance is whether this acquisition of additional stake in MLNG Tiga is a concession by Petronas for Petronas to own the Gorek, Larak and Bakong fields at offshore Sarawak, keeping Sarawak out of the SK408 Production Sharing Contract?” asked PKR Sarawak vice chairman and Batu Lintang assemblyman See Chee How. 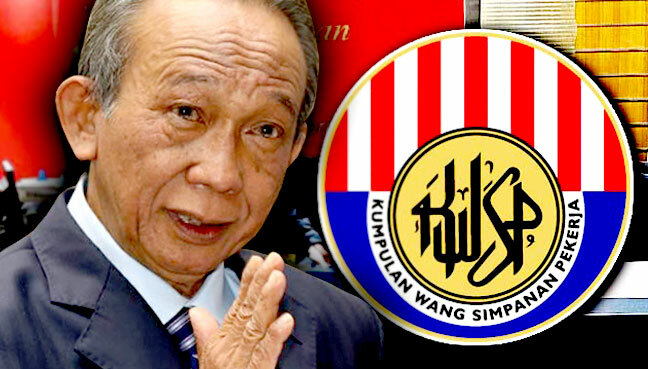 Chief Minister Datuk Patinggi Abang Johari Tun Openg’s attempt at discrediting the Pakatan Harapan (PH) manifesto by training his guns on PH chairman Tun Dr Mahathir Mohamad shows that his poor understanding of the workings of the PH coalition, said state Parti Keadilan Rakyat (PKR) chairman Baru Bian. Baru, who is Ba Kelalan assemblyman, was commenting on Abang Johari’s recent statement that it would make no sense for Sarawakians to buy the opposition manifesto particularly given the fact Dr Mahathir did not do much for Sarawak during his 22-year tenure as prime minister from 1981. According to Baru, the PH manifesto was formulated by a working committee and agreed upon by all four parties in PH, adding that it was not written by Dr Mahathir alone. All of Barisan Nasional’s incumbent MPs will meet coalition chairman Datuk Seri Najib Razak in Putrajaya tomorrow. The meeting will take place at the caretaker prime minister’s official residence Seri Perdana, starting at 9am. “My guess is that the prime minister wants to thank them for their loyalty to the Barisan Nasional and service to the nation,” Parti Rakyat Sarawak (PRS) president Tan Sri Dr James Masing confirmed today. 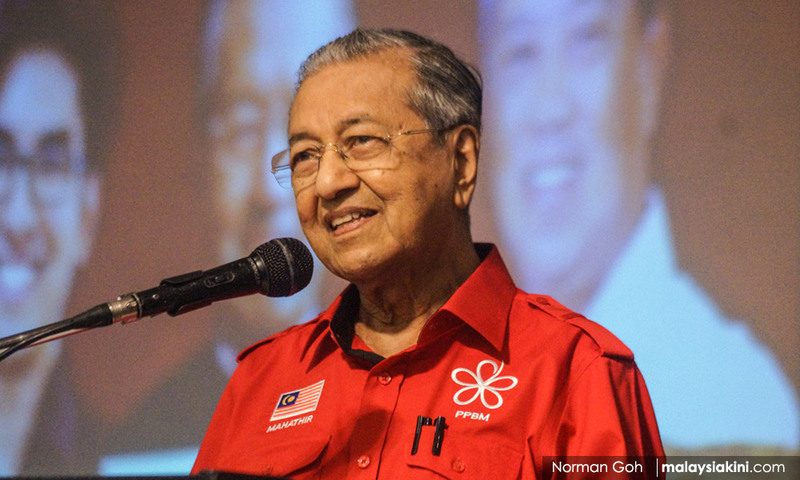 Parti Pribumi Bersatu Malaysia (PPBM) chairman Tun Dr Mahathir Mohamad claimed that the 14th general election would not be fair, after his party was temporarily suspended today. “There are no fair elections… forget about ‘bersih’,” Dr Mahathir told the audience at Pakatan Harapan’s (PH) National Business and Economic Forum at Dewan Sivik MBPJ here today, using the Malay word for “clean”. The PH chairman also appeared upset when asked by the media to comment on the Registrar of Societies’ (RoS) decision. Parti Amanah Negara and Democratic Action Party (DAP) branches in Sarawak will only know by next week after a meeting of Sarawak Pakatan Harapan (PH) on whether they will be using a PKR or DAP logo as a common symbol for the upcoming general election. According to state Amanah chief Fizuan Zaidi, the state PH would be calling for a meeting next week to decide on the logo issue. 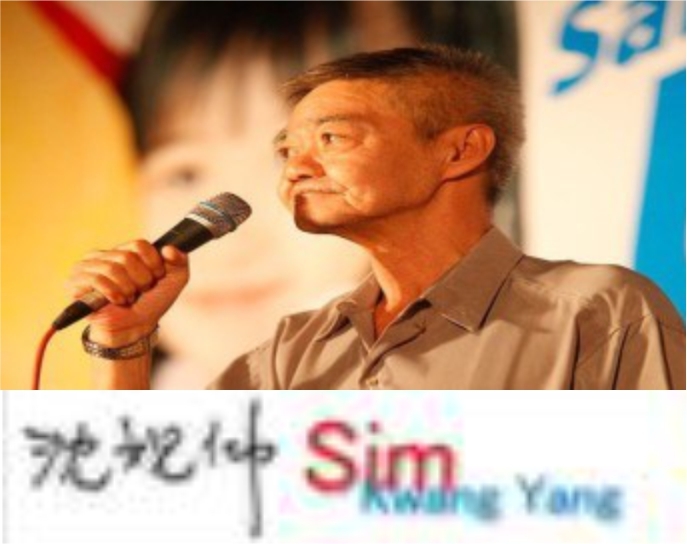 When contacted yesterday, state DAP chairman Chong Chieng Jen said: “Sarawak DAP to decide. That’s the autonomy we have”. Darul Ehsan Institute (IDE) predicted today that Johor will likely remain under Barisan Nasional (BN), but projected Pakatan Harapan (PH) would win Kedah, Melaka and Negri Sembilan. The Selangor state government think tank said Parti Pribumi Bersatu Malaysia’s (PPBM) influence rested solely on its chairman and former prime minister Tun Dr Mahathir Mohamad. “Johor, I see that BN still has the hold,” IDE deputy chairman Prof Datuk Mohammad Redzuan Othman told a press conference here. The federal government has a master plan for the continued development of Sarawak due to the vast potential for development in the state, said Datuk Seri Najib Razak. The Prime Minister said the master plan could be realised because he had a good relationship with Sarawak Chief Minister Datuk Patinggi Abang Johari Tun Openg and the federal and Sarawak governments enjoyed excellent ties. “We want Sarawak to move forward relentlessly because it has great potential for development,” he said when addressing a meet-the-people session and launching the construction of the Marudi Bridge, at the Marudi Square here today. PKR today announced four of its leaders from its youth wing that will contest in GE14. It is understood that this announcement is the first phase of a few more candidate announcements in the coming weeks before GE14. They are PKR Youth chief Nik Nazmi Nik Ahmad, PKR communications director and its deputy youth Fahmi Fadzil, Sabah PKR Youth chief Raymond Ahuar, and Perak deputy youth chief Sandrea Ng Shy Ching. Barisan Nasional (BN)’s manifesto for the 14th General Election (GE14) which will be launched on April 7 will give special attention to development in Sarawak and Sabah, said Prime Minister Datuk Seri Najib Razak. He said this was proof of BN’s commitment to continue the development agenda in Sarawak and Sabah for the next five years. “The BN manifesto to be launched on April 7 will have some special provisions for Sarawak and Sabah,” he said at the closing ceremony of the 2018 Development and Leadership Seminar for Community Leaders, from the Miri, Bintulu and Limbang Divisions here today. The aim of the Anti-Fake News law is clear – to sow fear among Malaysians and terrorise them into unquestioned submission. For those who use social media (which is just about everyone), this is the mother of all laws – Prime Minister Najib Abdul Razak’s version of shock and awe. It’s not that we are not concerned about fake news. We all are. But there are better ways of stopping it. We have spelt it out here in this KiniGuide. And yes, a number of other countries are mulling fake news laws too. But they don’t have the range of other legal weapons the Malaysian government has in its arsenal to go after those who allegedly spread fake news. Najib Razak today reassured that he would continue to protect Sarawak’s rights and develop the state together with its leadership. Najib said Sarawak was close to his heart and this had been translated by various commitments and projects implemented through the close cooperation between the federal and state governments. “I have come to Sarawak 60 times, done 163 walkabouts in 60 locations, and many projects were undertaken and in fact a huge allocation of RM22 billion was given for the Pan Borneo Highway. 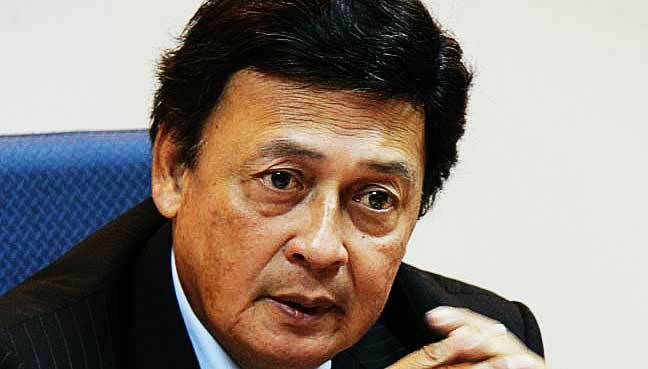 Parti Keadilan Rakyat (PKR) Baram chairman Roland Engan is likely to contest in the Baram parliamentary seat again. The 46-year-old previously contested the seat during the 2013 parliamentary election, and also stood for the Telang Usan state seat, which comes under Baram, in the 2016 state election. Roland narrowly lost on both occasions – by 194 votes in 2013 to Barisan Nasional’s (BN) Anyi Ngau, and by 167 votes in Telang Usan to BN’s Dennis Ngau. The state Parti Keadilan Rakyat (PKR) will announce the list of candidates representing the party and Pakatan Harapan (PH) in the upcoming 14th general election (GE14), only after the state Barisan Nasional (BN) has announced theirs. According to national PKR Women vice chief Voon Shiak Ni, the party does not want to reveal its list before the dissolution of Parliament, to allow for the calling of the GE14. “We have yet to announce the final list of PKR candidates – (we will) wait until BN announces their candidates, then we (PKR) will announce ours,” she told reporters here yesterday. 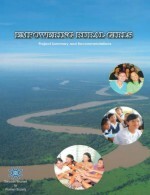 The Sarawak State government has been asked to reveal the details of the outcome of the meeting concerning the review of the special grant that was agreed during the second National Steering Committee meeting on the Devolution of Powers to Sabah and Sarawak which was held in Kuala Lumpur on last Thursday, co-chaired by Foreign Minister Datuk Seri Anifah Aman and Minister in the Prime Minister’s Department Datuk Seri Nancy Shukri. In making the call, Parti Keadilan Rakyat (PKR) Sarawak vice chairman See Chee How said Anifah, who is from Sabah, had issued a statement to disclose that the Federal Attorney-General had agreed that the constitutional review of Sabah’s 40 per cent (two-fifths) Special Grant under Article 112D of the Federal Constitution must proceed. The Anti-Fake News Bill 2018 has been passed by Dewan Rakyat today. The Bill was passed by a majority voice vote at 6.20pm today after a brief debate at committee stage. The Bill will be now brought to the Senate, that is sitting concurrently, before it can be gazetted as law. Earlier, BN won a bloc vote at the conclusion of the policy stage debate in order to bring the Bill to the committee stage. 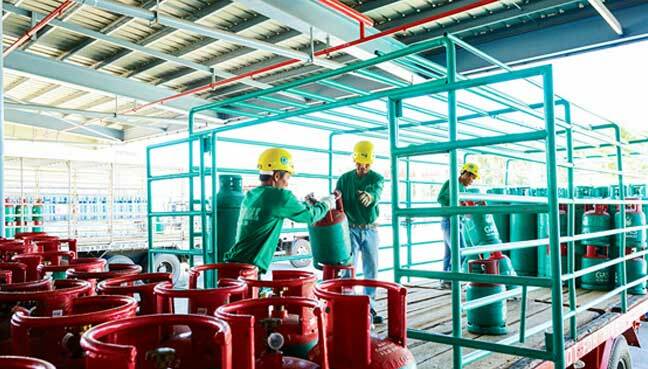 The Steering Committee on the Implementation of the Devolution of Authority between the federal government and the governments of Sabah and Sarawak say the Sarawak state government has the authority to distribute gas in the state under the Gas Distribution Ordinance 2016. In a statement after a meeting at Parliament yesterday, the committee said it would bring up the matter with the domestic trade, cooperatives and consumerism ministry for enforcement of the rule. The meeting was co-chaired by Minister in the Prime Minister’s Department Nancy Shukri and Foreign Minister Anifah Aman. Almost four years on, the proposed SMK Balingian project – a 2014’s Balingian by-election promise – remains a pipe dream for the constituents. Balingian assemblyman Abdul Yakub Arbi bemoaned that Balingian folk are growing impatient as the building is still nowhere in sight. He added that he had pursued the matter with the Education Ministry. Two police officers went to Bersih 2.0’s office here today to record statements over the polls watchdog’s protest against the Election Commission’s (EC) re-delineation report outside Parliament. Bersih executive director Yap Swee Seng, who was at the office, said two personnel ― one in uniform and one in plainclothes ― arrived at the office at about 10am, seeking to record statements from him, Bersih 2.0 acting chairman Shahrul Aman Mohd Saari, secretariat member Mandeep Singh and Suaram coordinator Amir Abd Hadi. He said the uniformed personnel introduced himself as ASP Adnan. Parishioners packed churches throughout Sarawak to attend the Good Friday service to commemorate the crucifixion of Jesus Christ and his death at Calvary, over 2,000 years ago. 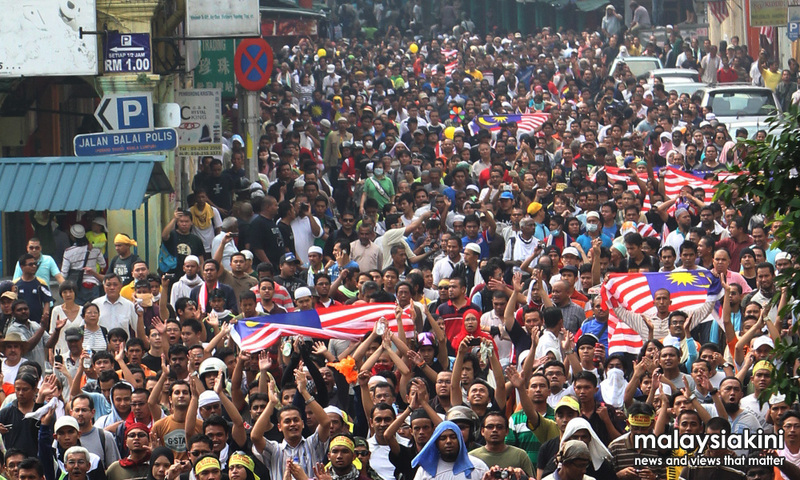 Good Friday is a public holiday in Sarawak, the only state in Malaysia where Christians form the majority. The Borneo Evangelical Mission (BEM) Kuching Church was filled with the morning worshippers as the Good Friday service here started with the song Crown Him and ended with O The Wonderful Cross.